Before purchasing marijuana from a medical marijuana treatment center (MMTC) – or dispensary – patients must first qualify for a medical marijuana certification; CannaMD provides qualified patients with the state-required recommendation to complete this process. Focused on evidence-based application of medicinal cannabis research, CannaMD offers a streamlined pre-qualification process, letting patients spend more time with licensed physicians. That process starts at home, where patients can see if they qualify for a medical marijuana card before ever scheduling an appointment. After a free phone call with a patient liaison, qualified applicants submit all required paperwork online, leaving appointment time free for quality doctor-patient conversation. One of those leaders is Dr. Jason Schultz, who is passionate about fighting the country’s growing opioid epidemic. Florida’s Amendment 2 also allows for treatment of other “diagnosable, debilitating conditions of like, kind, or class” (including depression, migraines, and rheumatoid arthritis). Patients can schedule an appointment by visiting https://www.cannamd.com or calling 1 (855) 420-9170. 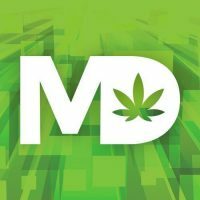 CannaMD also promotes active conversation regarding medical marijuana research, news, and legislative developments on Facebook, Twitter, and Instagram: @MyCannaMD.